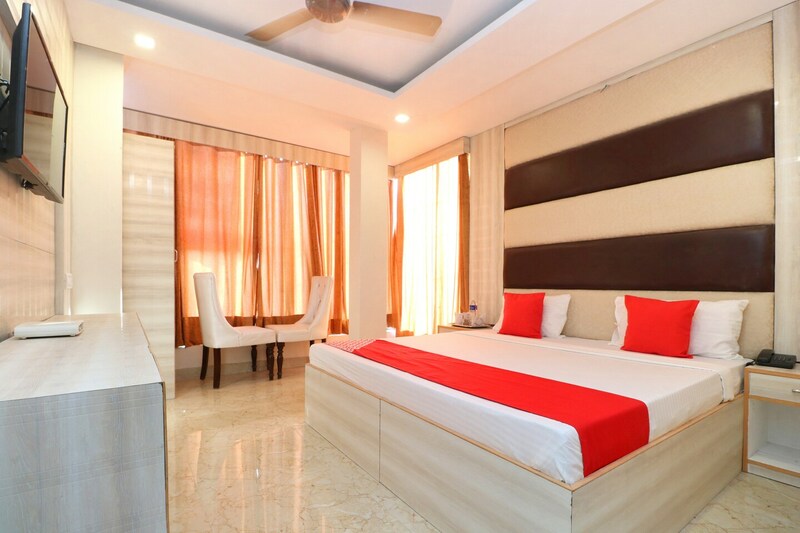 Located in Kalgidhar Enclave, the spacious rooms at The First Hotel feature a stylish decor and modern furniture. The rooms are well-lit and feel elegant with everything done in different shades of solid and light colours. The cushioned headboard adds to the comfort of the guests and the cushions bring colour to the room. The large windows in the rooms allow fresh air and sunlight. The bathrooms are clean and have a geyser for the convenience of the guests during winter months. The hotel provides basic amenities like WiFi, and has a banquet hall for hosting events. For foodies, there are various restaurants nearby.